HomeBusiness IRS/TaxHow Does a Tax Attorney Assist Small Businesses? Small business owners and business people must pay tax on the income and profit they earn from their initiative or company. If you pay income-based business tax as per Schedule C, then all your personal and business income comes under the business tax calculation. IRS rules state you must pay at least 90% of income and self-employment taxes within one year. Otherwise, you will face penalties. One way of avoiding these penalties is to enlist the help of a tax attorney. How Do You Calculate Tax for Small Business? To calculate estimated taxes for business from Schedule C, you must combine other income information with business income, deductions, tax withholding of federal income taxes from personal income, and credits on your personal tax return. You also have to calculate self-employment tax (Medicare taxes/social security taxes for business owners). What Do You Need to Calculate Tax for Business? First, you require an estimate of business income and expenses for the tax year. You can count income from previous years or income up to the present date to estimate income for the remainder of the year. You may have to consider your credit. The procedure is complex, and even a simple calculation mistake can land you in trouble. You could be liable for hefty fines. Why Should You Consult a Tax Attorney? If you own a business, it is best to hire a tax attorney to take care of all your tax payment estimates. They will calculate them accurately. Therefore, you save time and effort which you can better invest in other areas. 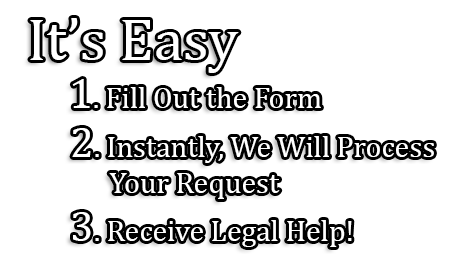 Besides, the tax attorney can help you make critical tax-related decisions. They can inform you about ways to attain tax deductions and save taxes. How Does A Tax Lawyer Help when Dealing with the IRS? A tax attorney can find ways to save you several thousands of dollars when filing your business tax. The IRS states that itemization of deductions is essential if you cannot make use of standard deduction. Itemizing can be tricky, but a tax lawyer can make this task easier. He or she can assist you in tackling an audit notice from the IRS. If you feel that the IRS is pursuing an invalid claim against you, then the tax attorney can advocate in your defense in court. On the other hand, tax lawyers are also aware of legal ways in which you can save money in business. They can help you take advantage of tax credits. They can communicate with IRS officials and file an appeal for a tax court decision.